People who live with insomnia become familiar with the way the house creaks at night, or the way shadows cross from one edge of the room to the other. They know what it’s like to hope and pray for sleep for hours on end with little to no respite. In the morning, they nap – or try to nap – and when they crawl under their covers at the end of the day, they dread the possibility of another sleepless night. Insomnia is very commonly linked with mental illness – in fact, the National Alliance on Mental Illness (or NAMI) estimates that over half of all insomnia cases are due to depression, anxiety or psychological stress. Often, treating the illness is enough to regain a normal sleep schedule. Sometimes, however, insomnia sticks around anyway. Insomnia is not only frustrating – it can lead to difficulties with functioning during the day. It can also exacerbate symptoms of mental illness, making a depressed person more depressed or a paranoid person more paranoid. Both curing and preventing insomnia are vital when it comes to treating mental illness. A recent study published in the journal Sleep demonstrated that a single, hour-long session of cognitive behavioral therapy can sufficiently treat insomnia in 73 percent of participants. This is the first study to focus on acute insomnia (i.e., insomnia that has lasted for less than three months) rather than chronic insomnia (i.e., insomnia that has lasted for more than three months). The encouraging results of this study highlight the importance of treating insomnia as early as possible. Researchers at Northumbria University recruited 40 adults with acute insomnia. The participants were then separated into two groups. One group received an hour-long session of cognitive behavioral therapy, or CBT, whereas the other group received no intervention. The group of participants who received CBT also received a self-help pamphlet that covered the techniques discussed in the therapy session to read at home. During CBT, the participants learned about sleep hygiene. Sleep hygiene is a series of habits and rituals that can improve a person’s ability to fall (or stay) asleep. Some examples of good sleep hygiene include going to bed and waking up at the same time every day, as well as avoiding computer screens in the bedroom. Participants learned how to implement these habits as well as how to record their sleep schedule in a diary. One month after CBT, 60 percent of the participants reported improvements in their ability to fall asleep and stay asleep. Three months after the therapy session, that number rose to 73 percent. In contrast, only 15 percent of the control group reported sleep improvements. The participants in this study took no medication. They received no weekly – or monthly – therapy. They did not need to spend any money on medical devices or herbal teas. Yet they still demonstrated improved sleeping habits. This study indicates that sleep education can be a powerful tool when it comes to fighting insomnia. Simply learning about – and implementing – good sleep habits is enough to make people sleep like babies, even if they have spent the previous months in a state of constant sleep deprivation. It seems almost deceptively simple, but it’s true: Good sleep hygiene brings good sleep. What about people who suffer from chronic insomnia? In this study, participants had only been suffering from insomnia for three months or less. A single session of sleep education therapy might not be strong enough to conquer insomnia that has been present for several years – however, sustained therapy has been found to result in improved sleep in most people with chronic insomnia. 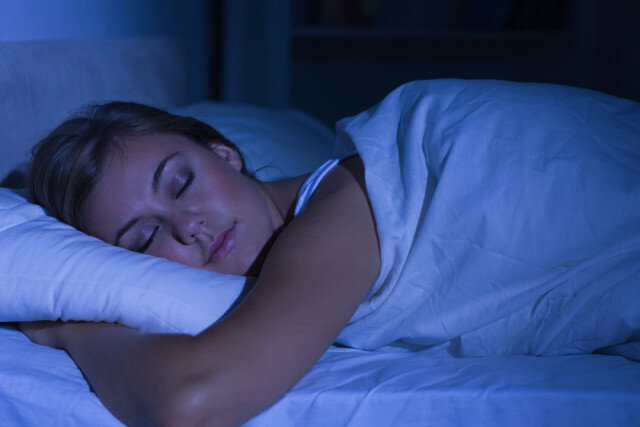 No matter how strong or enduring the insomnia, sleep hygiene therapy can make a difference. Sovereign Health Group recognizes the importance in fostering healthy habits in all of our patients. For this reason, Sovereign offers a brain wellness program that teaches patients how to maintain a healthy and happy brain. Sleep hygiene is an essential component of the brain wellness program. For further questions, please contact 888-530-4614.